NIHON BUNKA NO HI 2011 "NOZOMI NO HI (ZETTAI DEKIRU!!)" held by STBA LIA Jakarta, not as the contestant but I was being one of the jury. Actually I just wear an old school lollita dress, which was made 3 years ago, a vintage white shirt I bought at Pasar Senen flea market, a white stocking also a pump high heels in black. It was very simple! 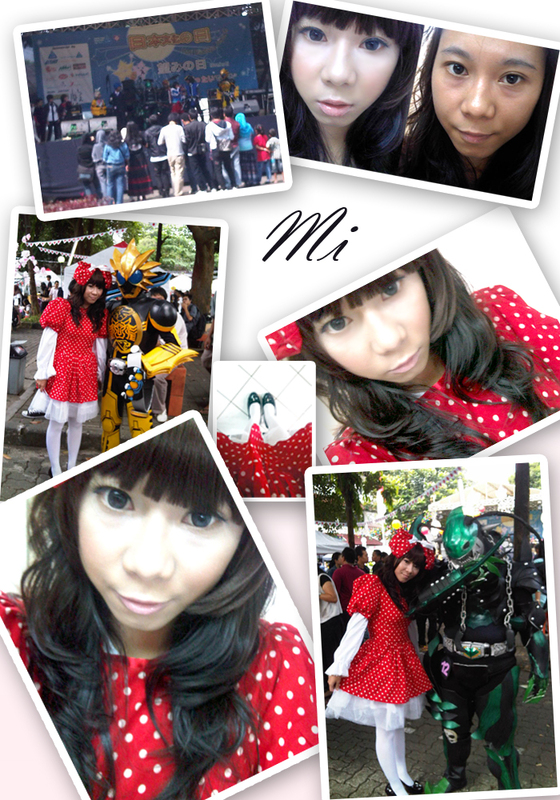 The make up and hair were inspired by Milky Bunny a.k.a Tsubasa Masuwaka. 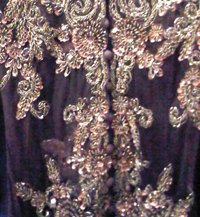 After that, I bought a Kebaya for my Graduation Day at PGC on the second floor there is a store named Mutiara Iman. It sells a lot of kebaya cheaply, if going to visit for shopping let's say that you are recommended by me then you will get an additional discount. Here's a sneak peek of mine. 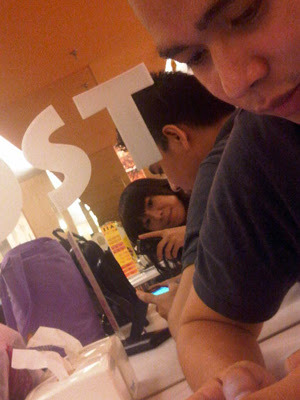 Last picture is my bf and me at D'Cost. Btw, my mom is at the hospital now, yes she is sick so please pray for her health.